Stephen Bayils finishes a goal against Bemidji State during last season's WCHA playoffs. Baylis could be a dark horse candidate for WCHA Player of the Year (Photo by Todd Pavlack/BGSUHockey.com). Bowling Green – The Falcons return 88% of their scoring from last season and potential goaltender of the year candidate Chris Nell. BG’s schedule sets up well for its best season under Chris Bergeron, facing Michigan Tech and Minnesota State only two times apiece. A very favorable home schedule in the second half should help Bowling Green rest up for the stretch run as it looks for its first WCHA title. 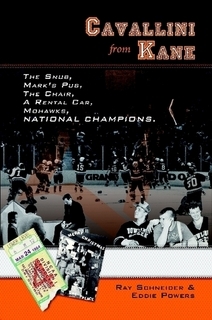 Minnesota State – MSU and the No. 3 team was a toss-up in my mind, but I give the nod to the Mavs for the return of Cole Huggins. The Mavericks have entered the rarefied air of perennial contender, and this year shouldn’t be much different. They’ll need to replace over 40% of their scoring, however, to contend. Michigan Tech – The Huskies have arguably the best blueline in the league and they’ll need that squad to play well, as they have to replace Jaime Phillips in net. Still, Michigan Tech can score goals in bunches. Tyler Heinonen and Joel L’Esperance will be a deadly one-two punch. The loss of Phillips and Pearson’s squad’s response will determine how high (or low) MTU will finish. Ferris State – The Bulldogs will look to defend their Broadmoor Trophy in 2016-2017. FSU isn’t quite as deep as the teams ahead of it here but will still finish near the top. Gerald Mayhew returns as the league’s top scorer and highly-touted defenseman Cameron Clarke will add an offensive threat to its defensive corps. Northern Michigan – Consistency was the Wildcats’ downfall a season ago. Another good season by Atte Tolvanen in goal will help stabilize the young NMU squad. Dominik Shine will be key to pacing Northern Michigan. If he has another good season NMU will contend for a home playoff spot. Lake Superior – Lake Superior was one of the “peskiest” teams to play in 2015-2016. While Lakers have one of the youngest teams in the league, they also have Gordon Defiel in net which is capable of stealing games. The Lakers are one of the most history-rich programs in the WCHA, and Damon Whitten’s squad will have the chance to continue to surprise teams. They should comfortably make the playoffs, but probably won’t host. 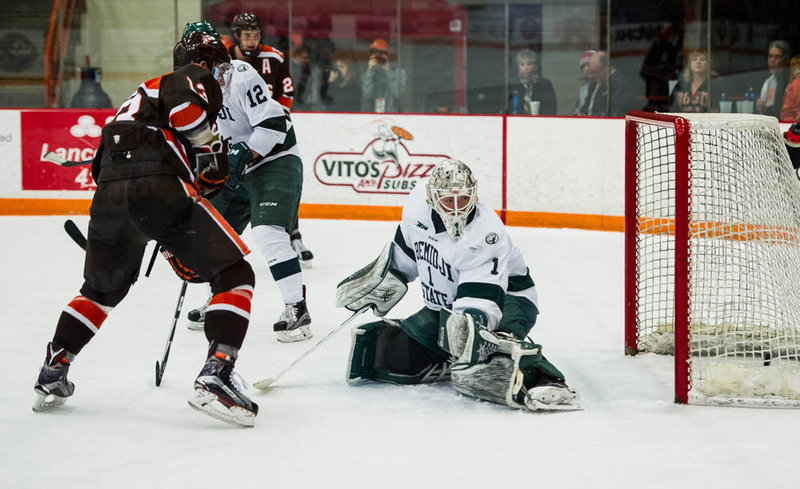 Bemidji State – It’s got to be frustrating for Beaver fans: they’re in the most talent-rich state in the nation, have a beautiful arena to play in, but have yet to really find their footing in the “new” WCHA. BSU struggled defensively last season and Michael Bitzer had a shaky season as a result. The Beavers will have another very young defensive corps, so they could potentially have a rough season again in Bemidji. I’d expect them to make the playoffs, though. Alabama-Huntsville – The Chargers played spoiler at the end of last season, keeping Bowling Green from clinching a share of the WCHA title with Michigan Tech and Minnesota State. But, a bad season by Carmine Guerriero was a metaphor for the Chargers’ struggles. There’s a few players who could get UAH closer to the top, but there’s too many question marks for those players to overcome. UAH will need to fight off UAA and UAF to make the playoffs this season. Alaska-Anchorage – When filling the poll out this year I tried to ignore the situation occurring in Alaska. Even doing that didn’t provide much positivity in the Last Frontier. The Seawolves are very young and Olivier Mantha hasn’t established himself as a great goalie in the league yet. Matt Thomas has also yet to show an ability to lead a team of his recruits to success in the league. UAA will fight for a playoff spot, but it’ll be an uphill battle. Alaska – It’s going to be a rough season in Fairbanks. They’ll need to replace over half of their offense from last season and are very thin across the board. Jesse Jenks is the assumed goaltender for the Nanooks, but he struggled last season to a 2.77 GAA and .909 SV%. Unless Alaska has one hell of a youth movement I don’t see them making the playoffs this year. The Player of the Year award is given to the player believed to be the best in the league, regardless of position. Gerald Mayhew, F (Ferris State) – Mayhew should build on his excellent 41-point season (16 assists, 25 goals) from a year ago. Locally, I could see Stephen Baylis having a big season if he can continue his hot stretch he had at the end of last season. This award is given to the player who is considered the best freshman or transfer. Cameron Clarke, D (Ferris State) – Clarke is highly touted and joined Adam Smith as the only WCHA players drafted at the most recent NHL Entry Draft. The fifth-round pick played last season for the Lone Star Brahmas of the NAHL, finishing with a scoring line of nine goals and 41 assists. The All-WCHA Team is considered the best collective players in the league, compiled like a starting line-up. Agree or disagree with my picks? Let us know in the comments what you think!